Have 5 Oil Changes Performed Here & the 6th One is on Us! My name is Richard Levin and I started Eagle Automotive because I was tired of working for other dealers and seeing the quality (or lack thereof) that technicians were required to perform. Not that it was always the fault of the technician, management also dictated the quality. I wanted a place that I could perform the high standard of repairs that I feel everybody should expect. 1. I work for YOU & you pay me to "DO IT RIGHT THE FIRST TIME"
2. To inform you of what you need now & in the future - making sure to differentiate the difference. 3. To perform repairs on your vehicle as if your life depended on it -- BECAUSE IT DOES! 4. To recommend only what you need, and if possible show you before we begin the work. We always save your old parts and you are welcome to them. 5. To treat you the way we would like to be treated. I'm sure your saying "I've heard this before". Not Trying To Be The Biggest - Just The BEST!!! Welcome to our website! I hope that this will be educational and informative for you. The purpose of this site is to give you information about us and the proper maintaining of your vehicle - to help you avoid costly repairs now or in the future. Ever wonder what equipment is used to diagnose or service your vehicle? Does your current shop use the latest technology available to them? 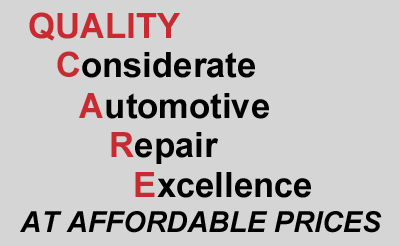 Check out our SERVICES OFFERED section and learn about our commitment to quality vehicle repairs. Check out the Preventative Maintenance section to see the standards we use to inspect your vehicle, the certifications we have and even more information for your vehicle that other shops will never tell you such as recalls, complaints, and safety standards. Eagle Automotive is a full-service preventive maintenance and auto repair center that has been performing high quality, guaranteed automotive repairs in the Plover area since 1987. We service and repair all makes and models of domestic and import vehicles. We specialize in engine & transmission diagnostics and electrical troubleshooting. We are your logical alternative to the dealership for all scheduled maintenance of your personal vehicle, or fleet car or truck. Bring in your foreign and domestic auto, SUV, or pickup today with complete confidence that your vehicle will be serviced correctly while maintaining your manufacturer's warranty. 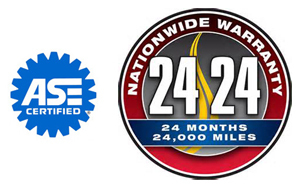 Eagle Automotive is an independently owned and operated full-service repair and maintenance facility. We use the latest diagnostic equipment to guarantee your vehicle is repaired or serviced properly and in a timely fashion. We only use quality replacement parts, and our technicians are ASE-certified.